Gerrit Code Review has begun the Ver. 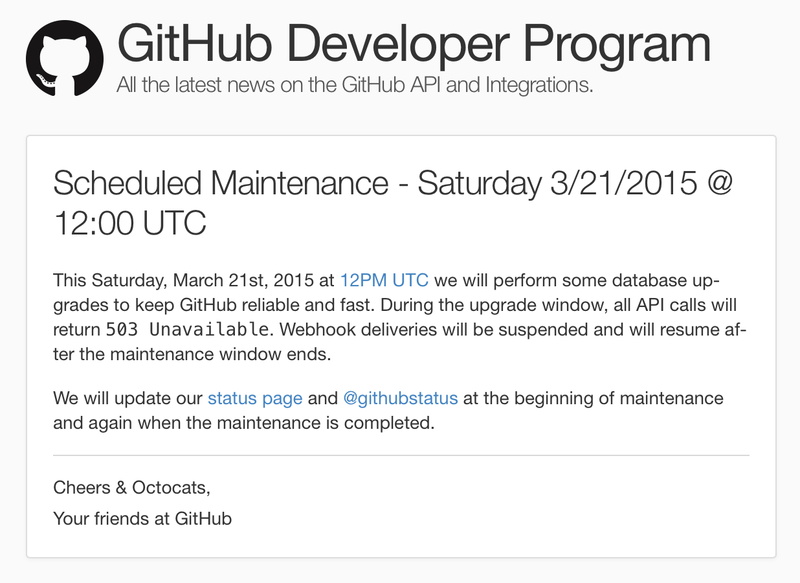 2.11 release cycle and the first release candidate been released this morning on Gerrithub.io. Gerrit is entering for the first time into the field of Cloud based IDE integrating a Browser-based editing functionality into the code review lifecycle. For the very first time you are just a couple of clicks away from a review-edit-submit turnaround: see below the additional icon to access the functionality from the Gerrit change screen. What is in-line edit and how can I use it? As this is a brand-new functionality with a complete new UX, a new dedicated page has been published to guide through the new functionality. You can experiment today the in-line edit by creating a new project on GitHub and sign-in to GerritHub.io. The new turnaround is quick and the flow is splendid ! This has been a masterpiece in collective code ownership and review of the Gerrit Team; this feature has been lead by David Ostrovsky after a series of early betas shared and discussed collectively. What else is included in Gerrit 2.11? A lot of new enhancements are coming, mainly related to the improvements of Gerrit REST-API to support this new feature. The full list of changes can be accessed at https://gerrit.googlesource.com/gerrit/+/refs/heads/master/ReleaseNotes/ReleaseNotes-2.11.txt. Where is Gerrit heading to? We foresee a near future where Gerrit becomes the central hub of the code-review and integration workflow, together with a CI engine such as Jenkins. It has recently proposed a new build of Gerrit without a GUI and exposing its review capabilities in headless mode: the presentation logic will then be implemented by the various UX plugins integrated with other IDEs. Should this scenario materialise as future of Gerrit, we will soon see other UX that will expose the power, flexibility and scalability of Code Review system in a brand-new HTML5 or native experience. The IntelliJ and Eclipse plugins are already a reality of this, but more will come and I bet they will be more focused on the Cloud IDE use-case. 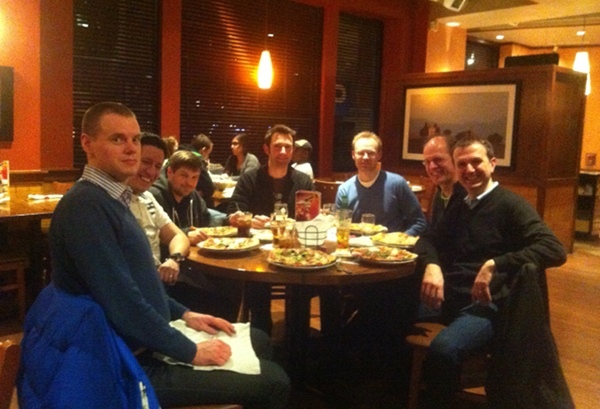 The best way to celebrate Gerrit Code Review in Boston for EclipseCon 2013 … is a nice MeetUp around Pizzas ! From left to right: Magnus, Luciano, Shawn (Gerrit project founder), Manuel, Patrick, Matthias and Luca … discussing the future of Gerrit around the table !